It's our #anniversary ! We've been in this thing #13 years together. Can you believe that?! We want to #celebrate all of you #moongoddesses , #dreamers , #believers in the unseen and #revelers of the light ! 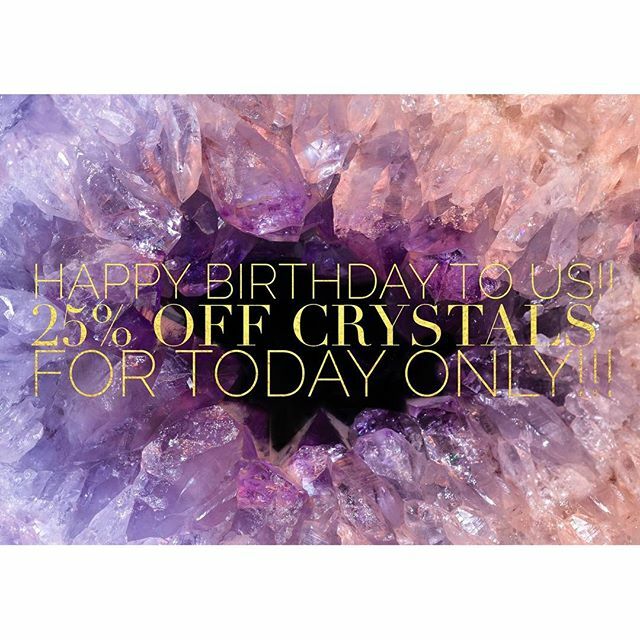 Today only (October 17, 2016), enjoy 25% off #crystals ! This sale is good for today only, extensions and holds are not available, offer good while supplies last, offer good for loose crystals only (salt lamps, water bottles, grid sets and jewelry among exclusions), other exclusions apply.